Is this par for the course or are the groups weary of the agriculture commissioner? As statewide interest groups roll out their endorsements before Election Day, one race seems to keep being left out of the fray. 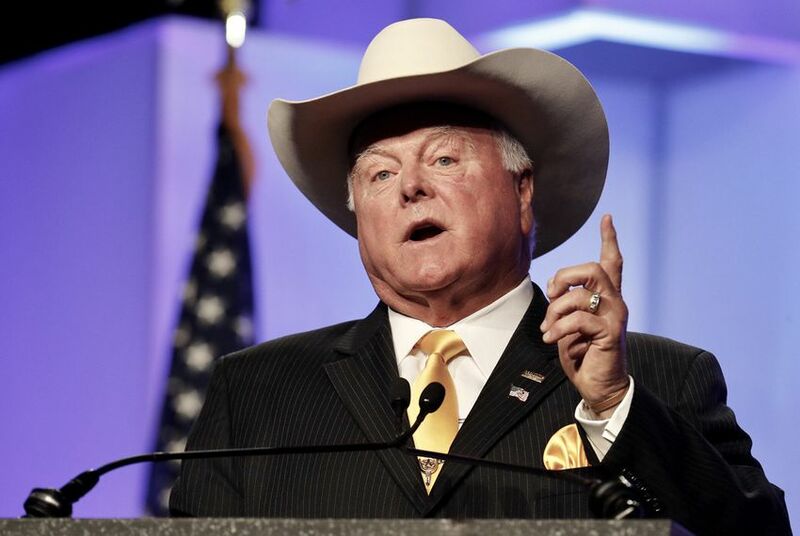 A handful of groups endorsing nearly every Republican running statewide this year have ignored — or declined to endorse in — the race for Texas agriculture commissioner featuring incumbent Republican Sid Miller against Democrat Kim Olson. Texans for Lawsuit Reform PAC, TEXPAC, the political arm of the Texas Medical Association, and the Texas Farm Bureau, a group that advocates on behalf of Texas farmers and ranchers, are among some of the groups that skipped Miller’s race in their general election endorsements. The Texas Food and Fuel Association — which backed one of Miller’s two Republican opponents ahead of this year’s primaries — did not respond to comment on whether they’ll be weighing in again on the race this fall. And the Texas Association of Realtors, which skipped over Miller’s race in its first round of endorsements for November, said it might revisit the agriculture commissioner’s race in the coming weeks. Miller has become a unique presence in Texas politics. He was one of President Donald Trump’s most avid Texas supporters in the tail end of the 2016 election and said last year that he'd consider taking a role in the Trump administration if the president appealed to him directly. During the 2016 campaign, he made news when a post from his Twitter account called Hillary Clinton the c-word. (The tweet was quickly deleted and, after initially saying he had been hacked, Miller said a staffer shared the post by mistake.) Lately, he’s been in the hot seat for repeatedly sharing fake news on his Facebook feed. Those who work with Miller say they’re not surprised at the PACs' decisions. “Commissioner Miller has never been the darling of the Austin lobby establishment, so not having the support of the Austin lobby establishment is par for the course and not something we’re really worried about,” said Todd Smith, Miller's campaign spokesman. Some groups insist it isn’t personal. Take TEXPAC, for example. It didn’t endorse either Miller or Railroad Commissioner Christi Craddick for next month’s general election, but threw its support behind every other Republican running statewide. Brent Annear, a spokesperson for the Texas Medical Association, said the group has endorsed in the agriculture commissioner race in the past “though not often,” adding that the group usually only endorses in races “that are germane to health care.” One notable endorsement, he said, was a few years back when TEXPAC backed Susan Combs, who served as agriculture commissioner for several years starting in the late ‘90s and was nationally recognized for her work to combat obesity and improve physical education at high-poverty middle schools. A spokesperson for Texans for Lawsuit Reform PAC gave a similar explanation, saying the PAC often doesn’t endorse in the agriculture commissioner race. The PAC skipped endorsements for the race in 2010, but endorsed Miller in the 2014 general election. Perhaps the most obvious snub is from the Texas Farm Bureau, which works with Miller’s agency. This isn’t the first time the bureau has passed over the commissioner: In 2014, it supported J. Allen Carnes — who received less than 13 percent of the vote — in the GOP primary and remained neutral when the race went to a runoff between Miller and Tommy Merritt. It did not endorse Miller in the general election that year either, a spokesman for the bureau said. But the bureau’s decision might not go without consequence. Meanwhile, Olson, the Democrat challenging Sid Miller, said she’s confident that groups staying neutral in her race will work in her favor this fall. Yet for all the groups opting to stay silent, Miller remains in a position of strength. He carried nearly 56 percent of the vote in a three-way primary earlier this year. Trump, who hasn’t yet waded into the commissioner’s general election bid, tweeted his support for Sid Miller ahead of this year’s primaries. And on his campaign website, Miller touts the support of several agriculture groups and prominent individuals — including U.S. Secretary of Agriculture Sonny Perdue, the Exotic Wildlife Foundation and the Texas Association of Dairymen. “Commissioner Miller has fed cattle. He understands our industry, which is why Beef-PAC is supporting his campaign,” Josh Winegarner, the Texas Cattle Feeders Association’s director of government relations, told the Tribune in an emailed statement. But Smith said Miller is more concerned about getting the approval of voters. Disclosure: Texans for Lawsuit Reform, the Texas Medical Association, the Texas Farm Bureau, the Texas Food and Fuel Association, the Texas Association of Realtors and the Texas Association of Dairymen have been financial supporters of the Tribune, a nonprofit, nonpartisan news organization that is funded in part by donations from members, foundations and corporate sponsors. Financial supporters play no role in the Tribune's journalism. Find a complete list of them here.